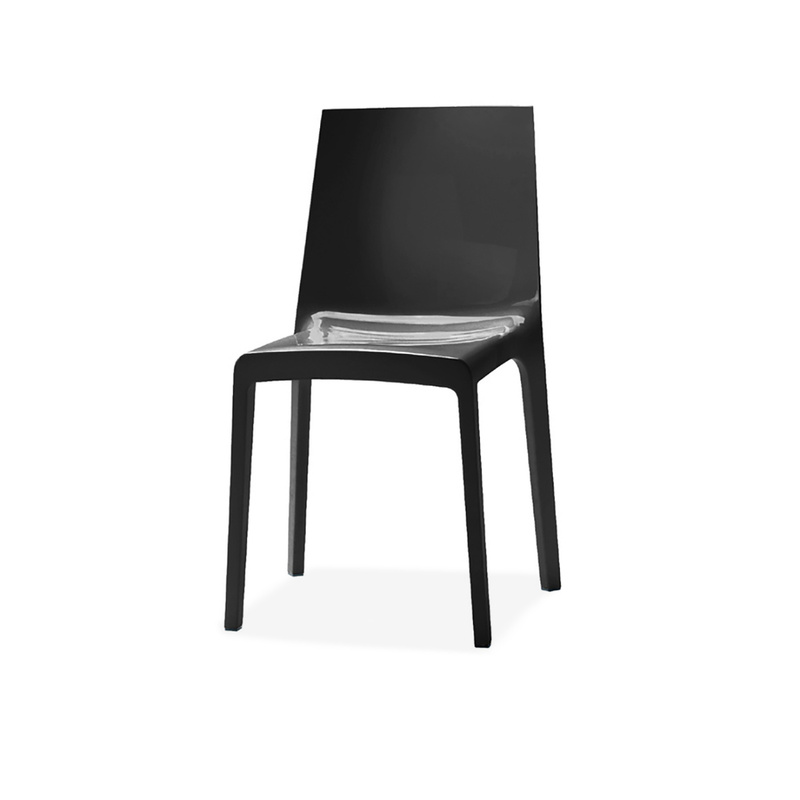 Are you looking for a chair that is simple yet modern and innovative? 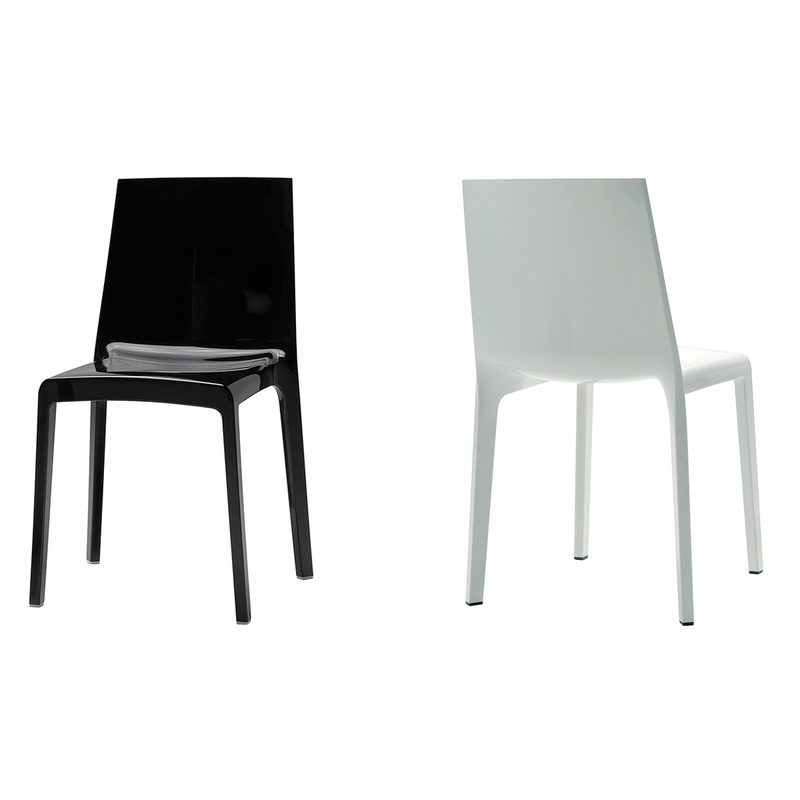 Choose Eveline! 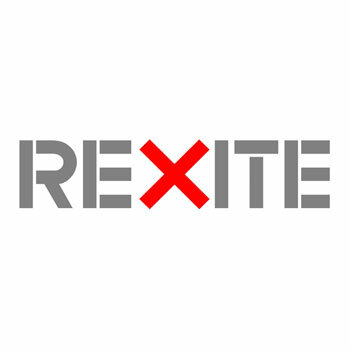 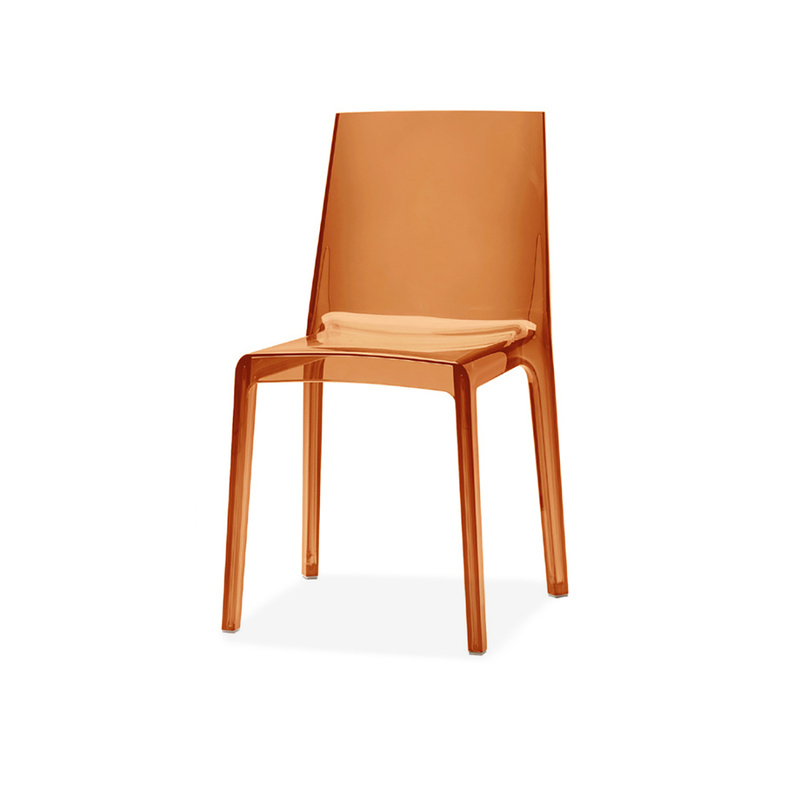 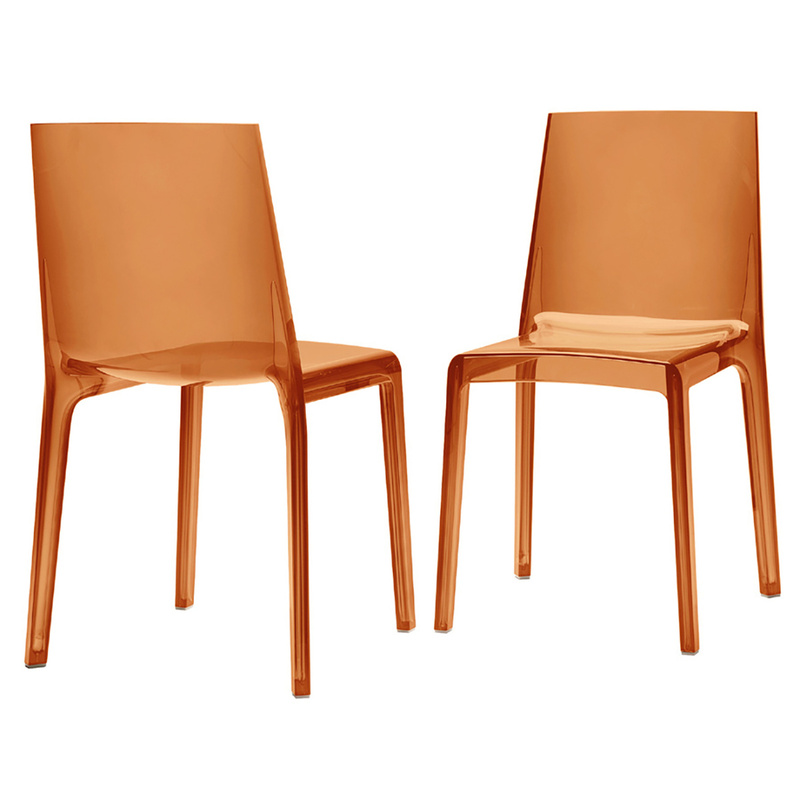 Among the many pieces proposed by Rexite, the Eveline outdoor chair stands out for its simple design and great comfort. 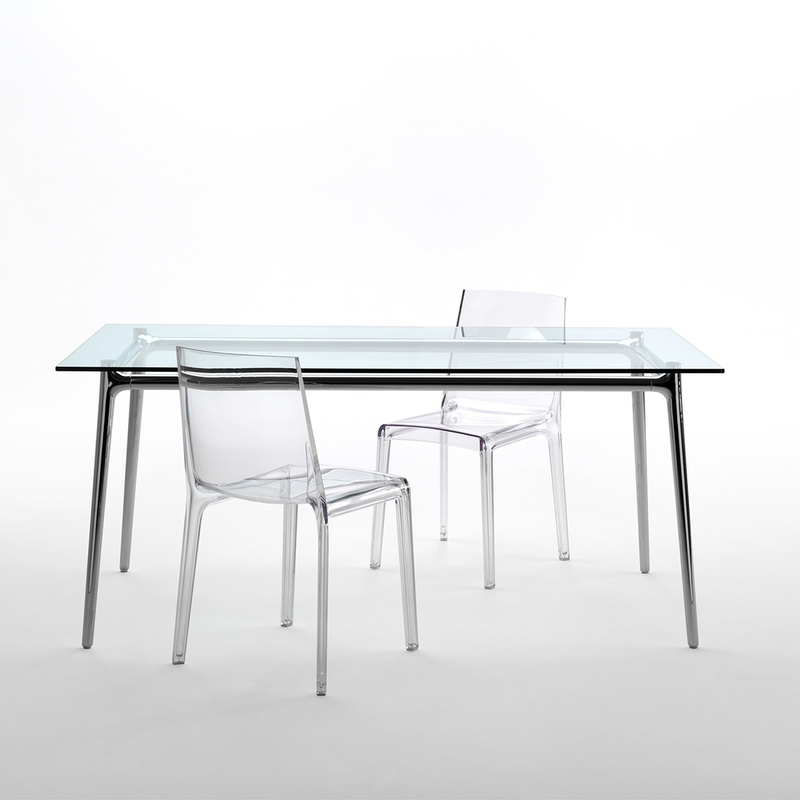 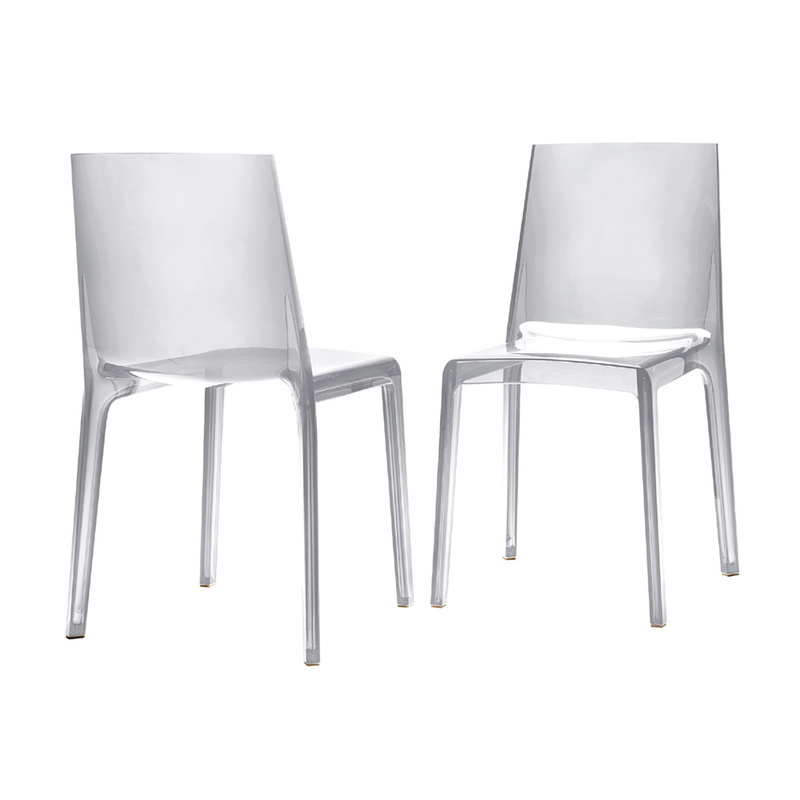 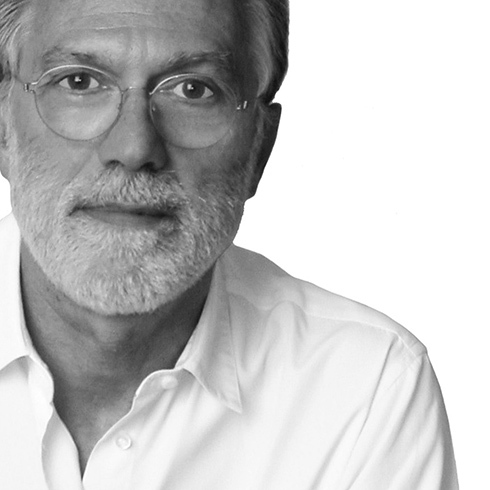 Created by Milanese designer Raul Barbieri, the chair is made in polycarbonate, a material that is very light yet sturdy, not least thanks to the fact that it comes from a single block, without joints of any kind. Moreover, this chair is also incredibly practical as it allows you to stack a series of Eveline chairs one on top of the other in order to save space when stored in occasion of bad weather. 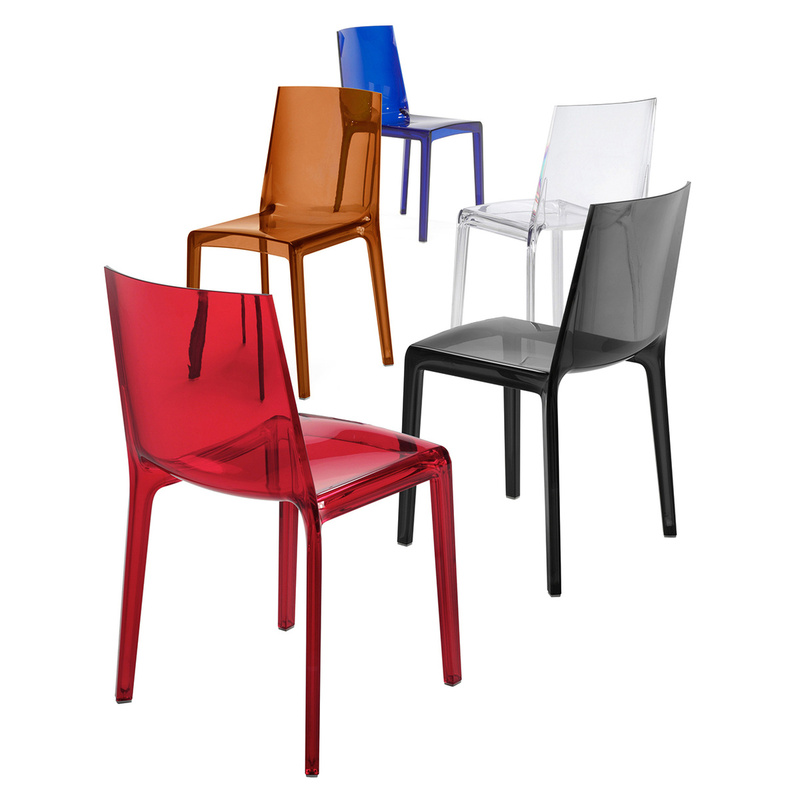 Available in different colours ranging from elegant transparent to amber, from black to red, from green to blue, this chair is so elegant you will want to keep it with you even indoors, and place it in a bright room furnished in a modern style. 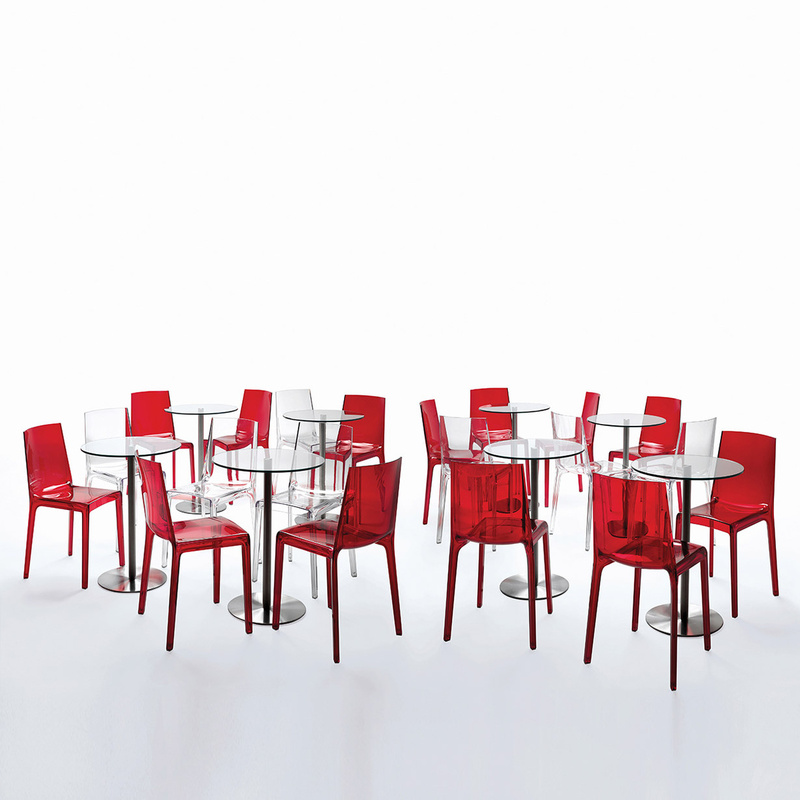 Whether you choose to put it in the kitchen or in the living room, the Eveline outdoor chair can be used to make the environment colourful and dynamic. 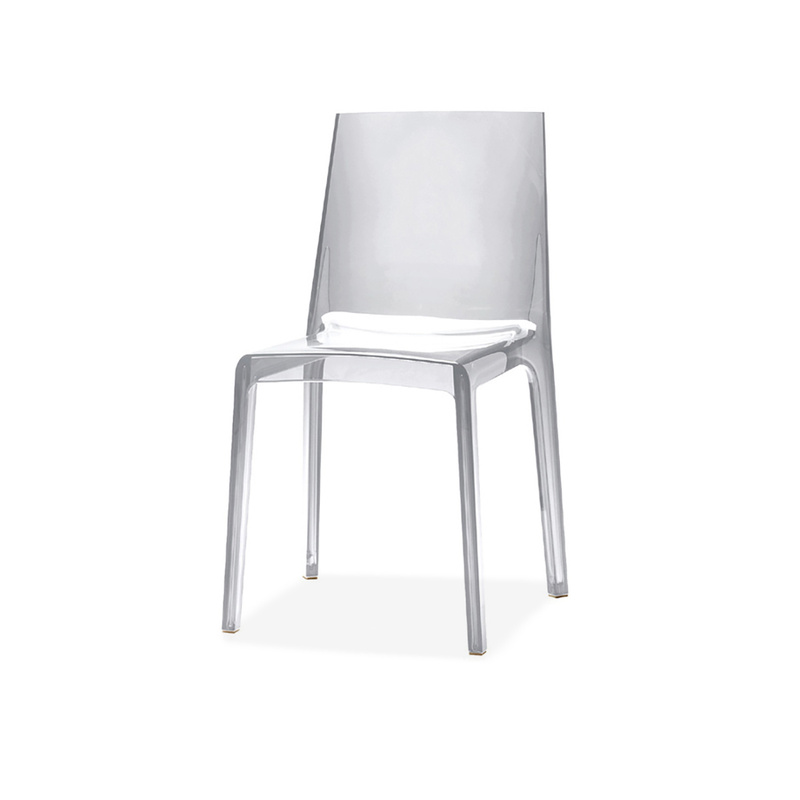 Very easy to clean, this chair should be washed using a damp cloth and neutral soaps, avoiding solvents and abrasive detergents.